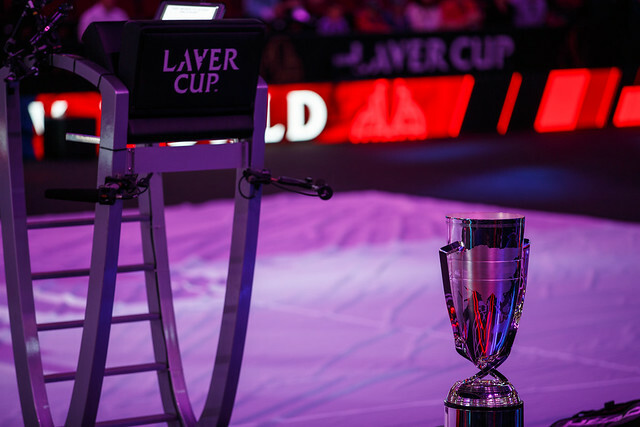 The third edition of the Laver Cup will take place in Geneva, Switzerland, from 20 to 22 September 2019. Here’s all you need to know to buy tickets to this Europe vs rest of the World team competition. The competition pits 6 European players against 6 players from the rest of the world. 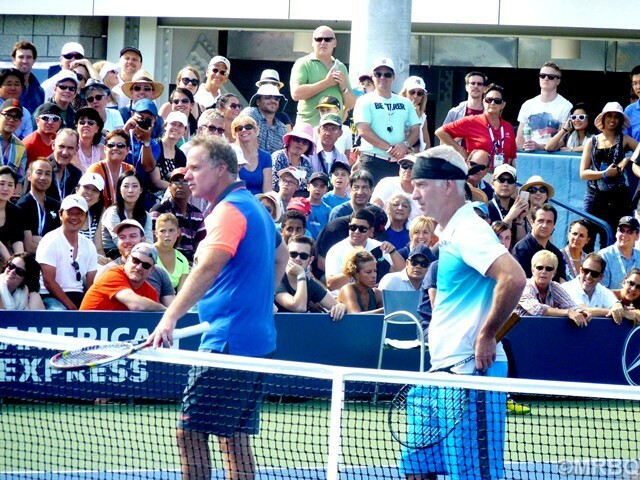 Tennis legends Bjorn Borg and John McEnroe serve as captain, Thomas Enqvist and Patrick McEnroe as vice captains. 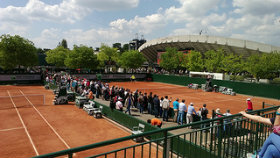 The event is played over 3 days: each day 4 matches are played, 3 singles and a doubles. Each win is worth one point on Friday, 2 on Saturday and 3 on Sunday. Matches are played in the best of 3 sets, with a 10-point match tiebreaker in the third. The winning team must reach 13 points. 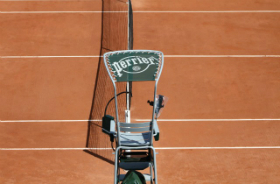 In case of a tie, a doubles match is played as a regular set to determine the winner. 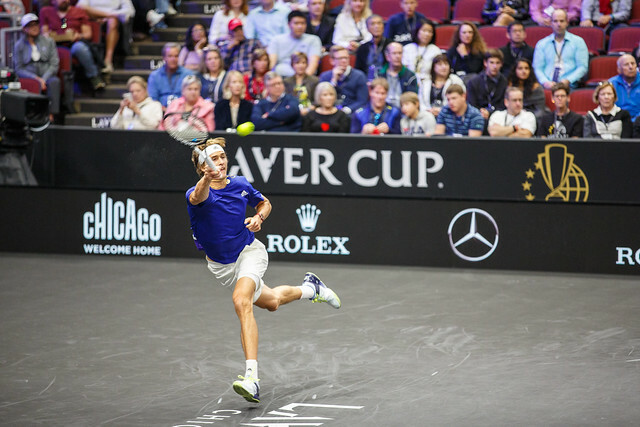 Created by Roger Federer‘s management company TEAM8, former Brazilian player Jorge Paulo Lemann and Tennis Australia, the Laver Cup is intended to be the Ryder Cup of tennis. 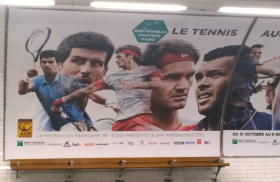 But keep in mind, it is just – contrary to what Federer wants you to believe – a star-studded exhibition, with no sporting interest; a way to make easy money for the players, the occasion to watch the biggest stars of the game for the spectators. 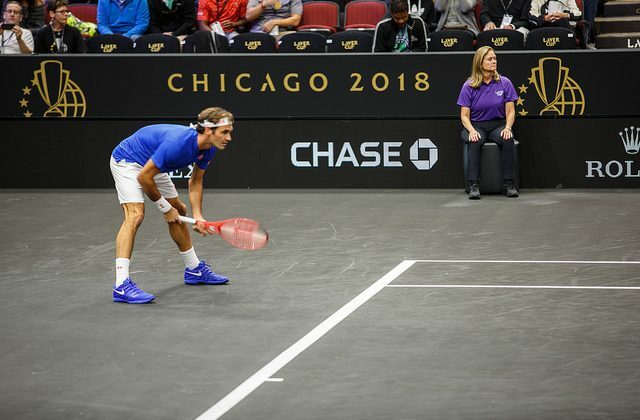 The Laver Cup Insider Pre-Sale will occur on February 5 from 10am to 11:59pm CET. If you registered on the Laver Cup website, you will receive an email the morning of the pre-sale with a link to purchase tickets and a pre-sale code. 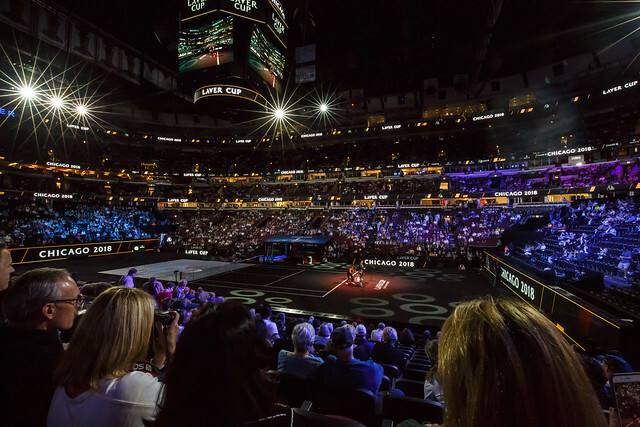 A multi-session ticket will give you access to all five sessions (over three days) at the Laver Cup: Friday: day and night sessions, Saturday: day and night sessions and Sunday: day session. 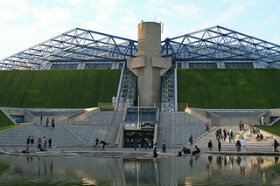 The price of a multi-session ticket starts at CHF 250 (€220). Multi-session tickets go on sale on February 8, 2019 at 10am (CET) online via Ticketcorner or by phone at +41 0900 800 800. A limited number of single session tickets will be available at a later date, not announced yet. Prices will start at CHF 25 (€22). Hospitality packages are also available starting at CHF 2,600 (€2,300). More details on the official website. 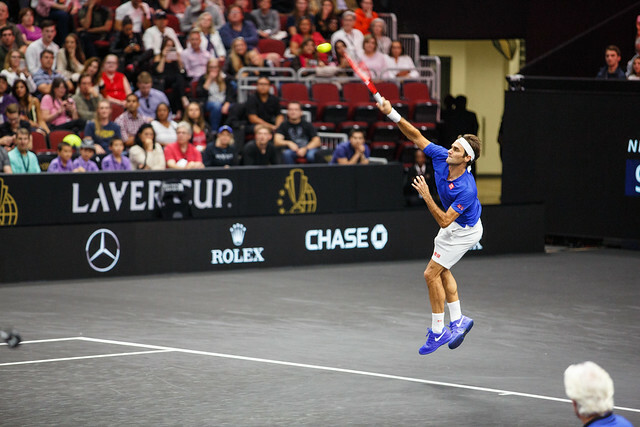 The Laver Cup partnered with Steve Furgal’s International Tennis Tours and Faberg Tour Experience to propose Travel packages including multi-session tickets, hotel, dinners… More details on their website. 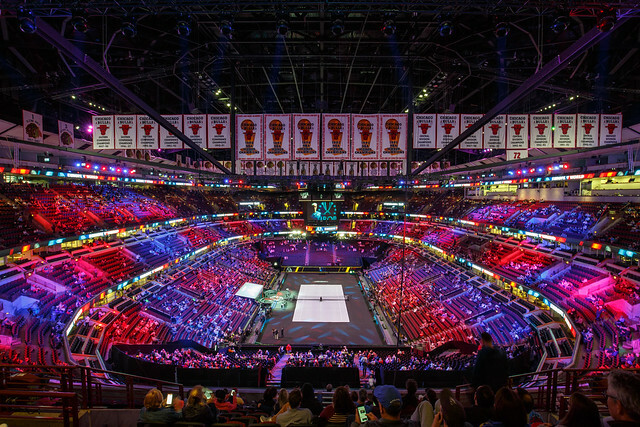 – all tickets for Laver Cup 2019 will be in the form of a ‘Fan Ticket’. Customers will not have the option to print at home. The working conditions were awful and the hours were worse. My subterranean workspace was a dimly lit room that reeked of the confluence of Bengay, sweaty socks, cheap cologne, and “eau de body.” I think I was paid $300; even for a college kid with economic needs that didn’t extend much beyond pizza and the occasional CD, that amounted to bupkis. And for 10 days it was a dream job. 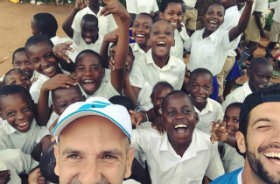 While in college at Yale, I taught tennis in Connecticut elementary schools as part of a grass-roots program sponsored by the Volvo International, a U.S. Open tuneup event held on the Yale campus in New Haven. In August of 1992, a few weeks before my senior year began, my boss called with a frantic request. The man who was going to manage the locker room during the Volvo event had backed out of the job. Would I be willing–please!–to fill in? I had been planning to while away the final days of my last college summer with friends on Cape Cod. 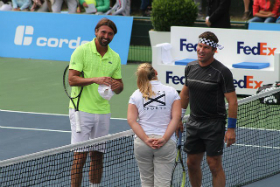 Instead, I was being offered a chance to spend that time picking up the sweaty towels of Ivan Lendl and a hundred or so of his colleagues. Naturally, I accepted. Although I received a 30-minute tutorial on ‘locker room etiquette’ from an ATP official before the tournament–just to make sure I wouldn’t do something as gauche as toss a towel at a player, but instead offer it, palms up–my real training came during the qualifying tournament. Many of the players were my age, so there was something demeaning about tending to their lavatorial needs. But I did my job dutifully. On the final day of the qualies, a shy, skinny Russian teenager with a terminally uncool bowl cut and a halting command of English offered me a “tall five” after he made it into the main draw. In ensuing years, I’d see a lot of Yevgeny Kafelnikov. 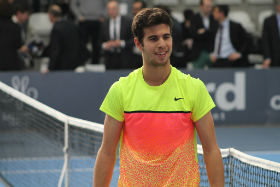 On Monday, the main-draw players arrived and my job began in earnest. In addition to dispensing towels–palms up–I cleaned the benches, vacuumed the floor, and threw out used grip tape, Gatorade bottles, Odor-Eaters, and other tennis detritus. But the work was far from tedious. 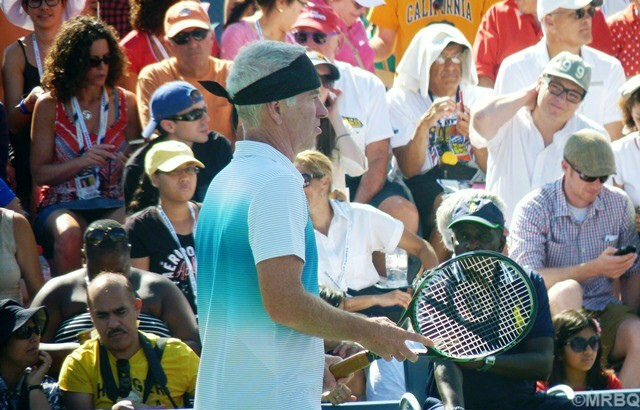 I delivered what might euphemistically be called a ‘mash note’ from a female admirer to a young American doubles player. He read it, laughed, and crumpled it up, as though having women offer to prostrate themselves before him was a common occurrence. 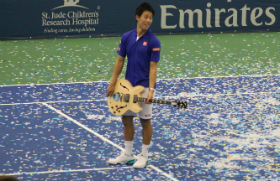 I also helped Leander Paes stretch his arms before a match and Pat McEnroe find dinner when, after losing a night match, he wanted to eat away his sorrows with several slices of New Haven’s famous pizza. Now this was something I knew about. And as Pat had forgotten the name of the place recommended by his brother John, I commandeered a courtesy car and dropped him off at Sally’s on Wooster Street. I was surprised by how little correlation existed between the players’ rankings and their dispositions. At once regal and casual, Stefan Edberg walked into the locker room on the first day of play and plopped down his duffel near my spot on the bench. Instinctively, I snapped to attention, much like when I passed one of my professors on the quad. Edberg just looked at me, extended his hand, and said, warmly, ‘I’m Stefan’–as if I needed an introduction to the best player in the world. I was awestruck, so Edberg picked up the conversational slack. He asked, “You go to school here?” I nodded. He added, “I’ll try not to make too much work for you,” and then patted me on the back. On the other hand, a curly haired Californian who was, at best, ATP marginalia, lit into me when I committed the sin of handing him an insufficiently fluffy towel. “If you’re going to give me crappy towels,” he barked, “at least give me two.” Because I am large-souled and don’t hold grudges, I won’t reveal that it was Jeff Tarango. But my stint in New Haven was different. I was a fly on the bench, so to speak. Some players interacted with me, others didn’t. But no one bothered to adjust his behavior on account of my presence. 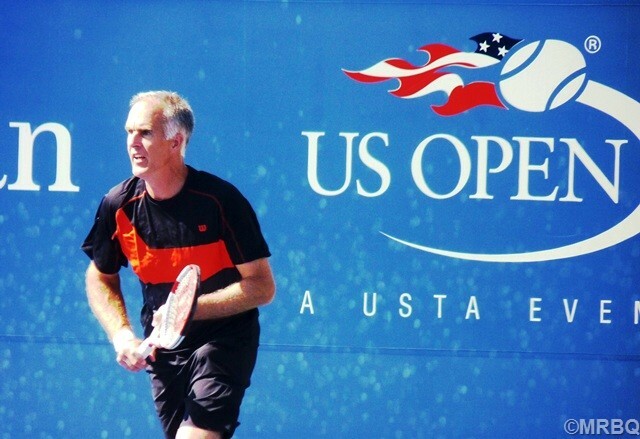 Unlike Dorothy in The Wizard of Oz, who was disappointed when she peeked behind the curtain and discovered that the wizard was really a pitiable old man, my own backstage experience fueled my passion for tennis. It also served as a catalytic event in my decision to write about sports for a living. I saw firsthand the intense individualism of tennis. The players were superficially collegial, but ultimately they sat alone, tackling their thoughts and fears in isolation. I also saw just how international the sport is: With no trace of irony, players spoke of meeting up or having dinner in Madrid or Tokyo. 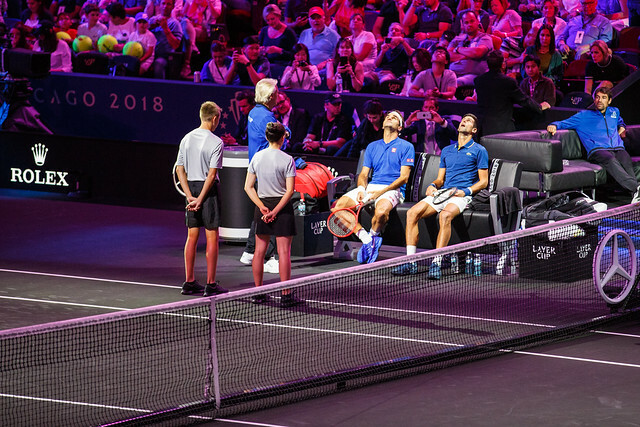 I saw just how physically grueling the pro game can be: After 90 minutes on the tennis court, these world-class athletes required lengthy rubdowns. 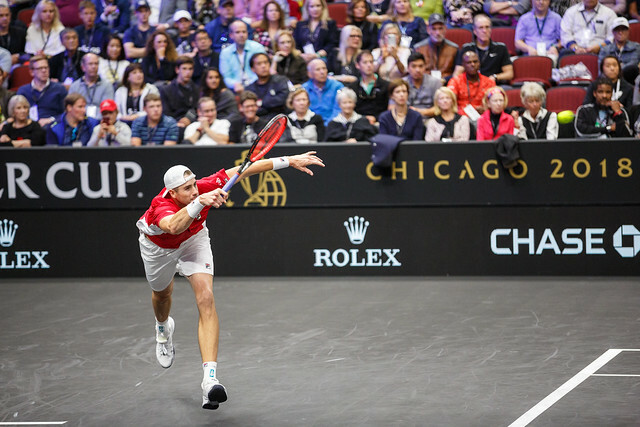 And I saw that the glamorous cast of the ATP tour is not so different from most work forces, an omnium-gatherum of wallflowers and social animals, eager rookies and jaded veterans, jerks and gentlemen. Indeed, on my last day of work, Edberg beat MaliVai Washington in the final. As I scoured the locker room one last time, I came across an Adidas bag near Edberg’s locker–strange, since he had already taken his check and trophy and skipped town. I looked closer. I never had a chance to thank Edberg (who, incidentally, went on to win the U.S. Open a month later). And by the time I started covering the sport for SI, he had retired. But if our paths ever cross, I’ll make it a point to express my gratitude and explain how meaningful I found his gesture. And then I’ll extend my hand to shake–palm up, of course. At first I thought it must have been the strong capuccino I had enjoyed after ou last dinner in Melbourne that was keeping me so wide awake, but as the minutes continued to tick by, I came to realize it as the sheer excitement of the past five days at the Australian Open that was still tingling through my body. 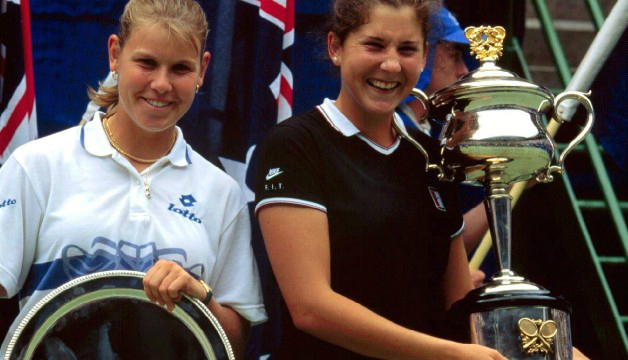 So many talented players, great matches, and the magnificent state-of-the-art Australian Open facility. Where to begin? 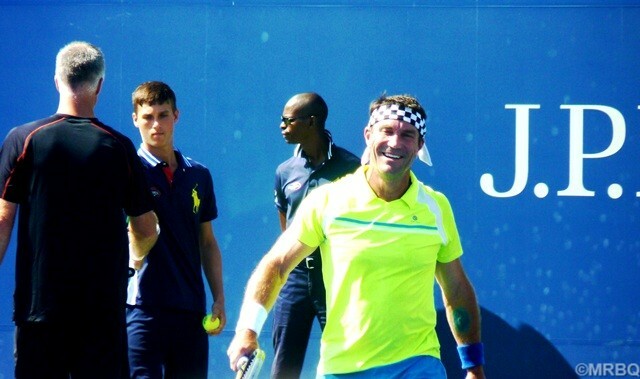 Mark Philippoussis opened up the center court action with a straight victory over Nicolas Kiefer, who would have, at that time, thought he would go on to upset Pete Sampras in straight sets, only to be thrashed in the following round by fellow Australian Mark Woodforde. Next it was defending champion Andre Agassi who basically limped onto center court after having the misfortune of hurting a tendon in his knee during a fall on his apartment steps. Andre, wearing a pathetic bandage, somehow won this match against Argentine qualifier Gaston Etlis, who at one point was serving for the match, and at another time was within two points of perhaps the upset of the decade. 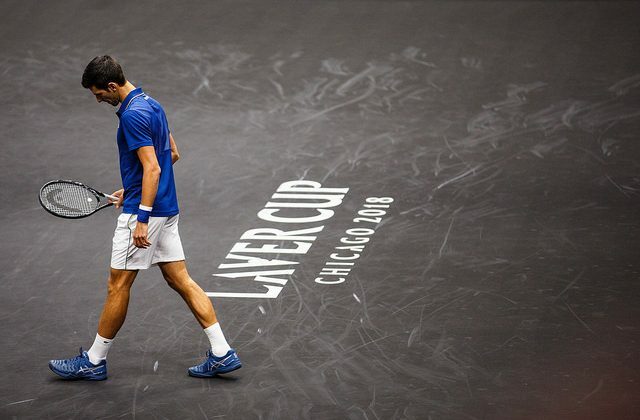 It was a sad sight from both ends of the court. 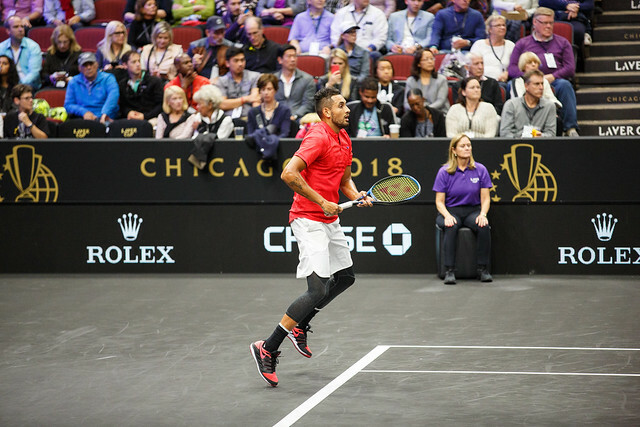 Etlis played brilliant tennis, showing no mercy for Andre’s inability to move around the court, hitting precision drop shots that the defending champion, instead of racing towards, could only stand and watch. But when it came to winning those final points, Etlis became even more creative in finding ways not to win, and Andre hobbled to a 6-3 in the fifth victory.